How could anyone possibly be better than his or her best, you ask? What could you do that would be even better than what you're already doing? Have you ever felt you weren't quite living up to your potential but just didn't know how to go beyond your current level of achievement? ● Recreate yourself to stay motivated to reach your goals. ● Raise your own bar and blast through the fear of failure. ● Solve problems more effectively by using the 90/10 formula. ● Redefine work and move on from struggle. ● Create a new heart in business and improve your relationships. ● Balance work and home life to be happier and more successful. Yes! 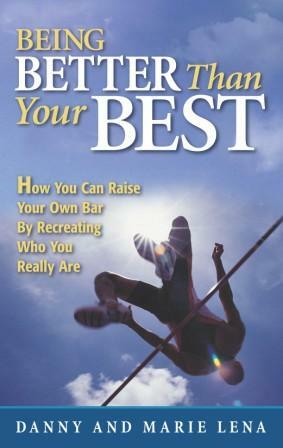 You can become better than your best. As you do, you'll find a greater sense of joy, purpose, and meaning in your personal and professional life. Read this book and make it happen for you!